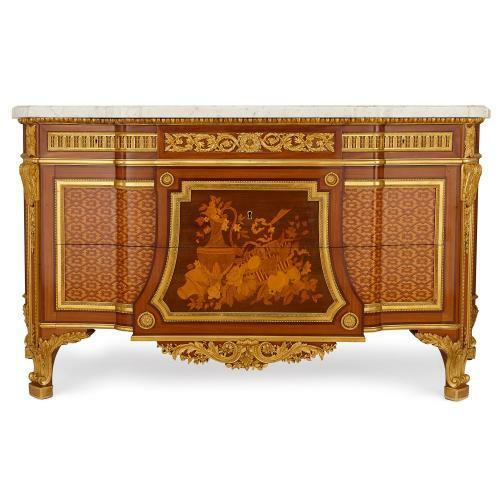 This beautiful commode, made in the 19th Century by French firm Mercier Frères, is based on an 18th Century model by acclaimed cabinetmaker Jean-Henri Riesener. The commode has a shaped veined white marble top which sits above three upper drawers, each mounted with an ormolu frieze panel. 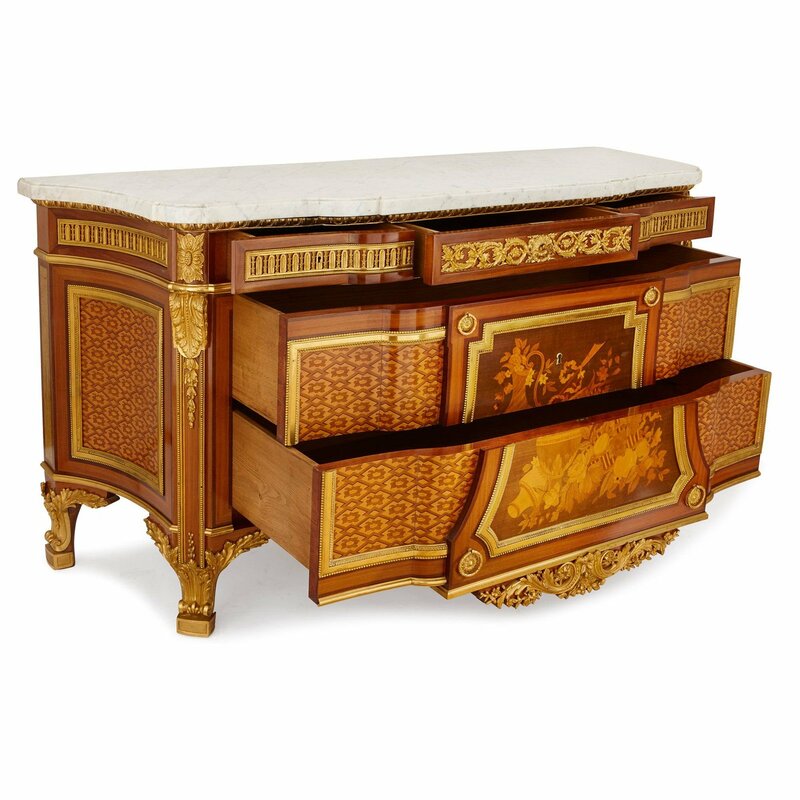 The central drawer features foliate patterns, while the two flanking drawers feature ormolu egg and dart decoration. 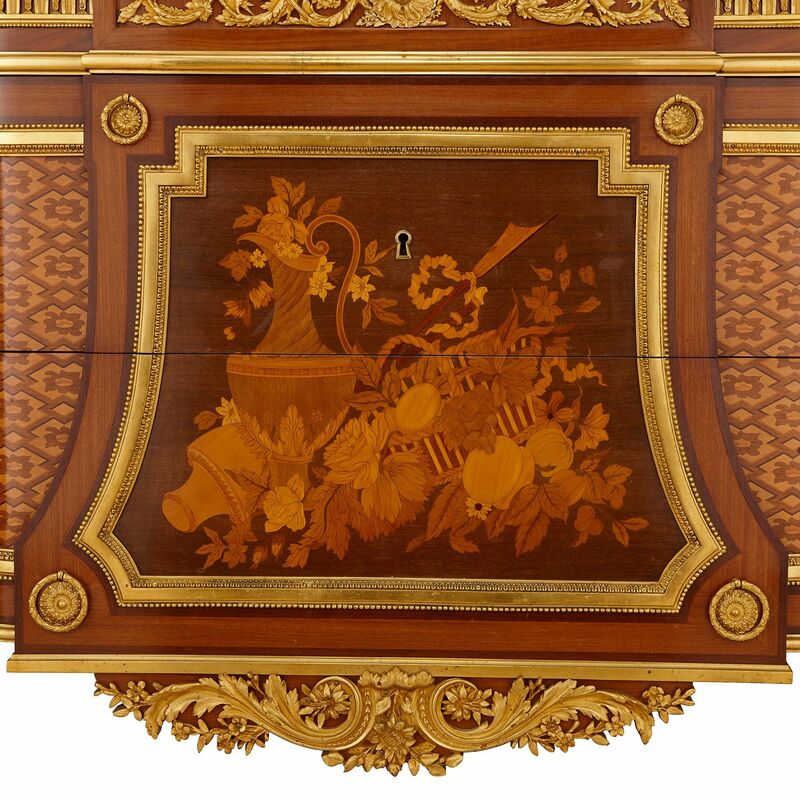 Below the three drawers there are two larger drawers, which share a large central marquetry front panel, depicting a still life scene of vases with fruit, flowers and leaves. 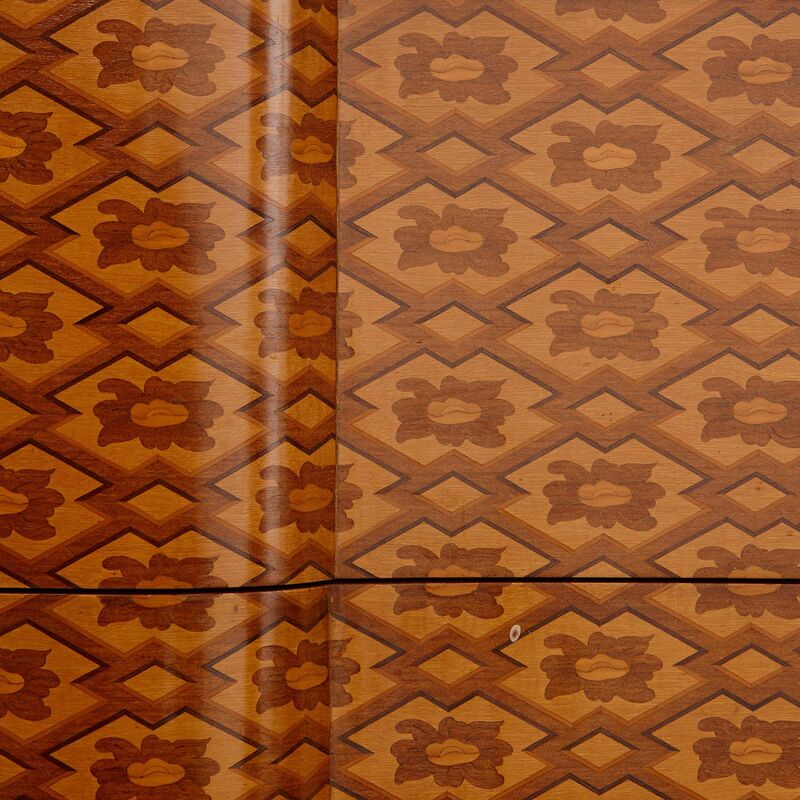 The central marquetry panel is flanked on either side with further panels of parquetry, finely detailed with geometric decorative patterns. 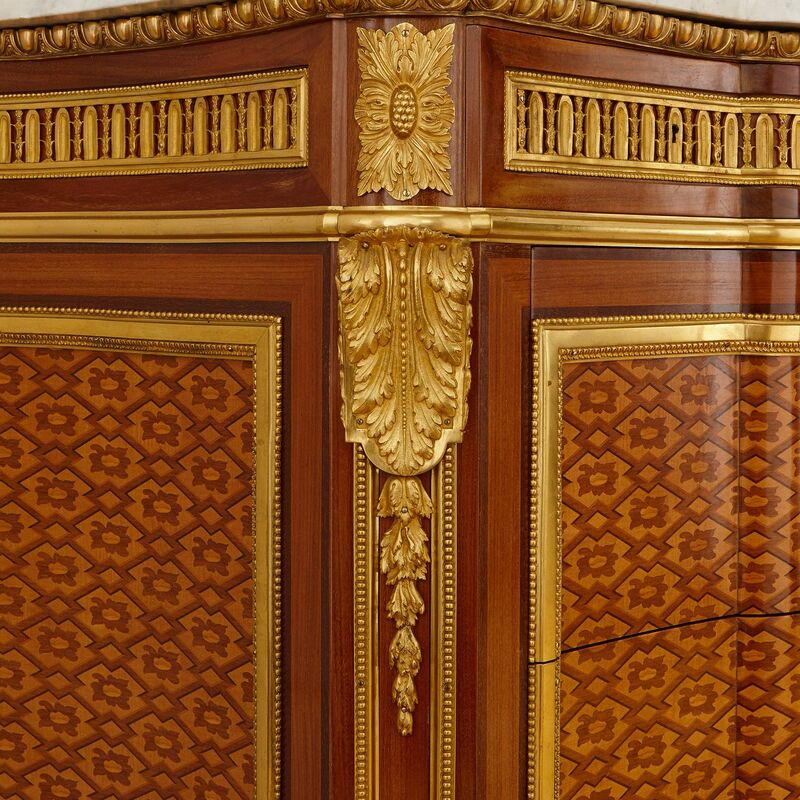 The curved sides of the commode also feature similarly decorated parquetry panels. 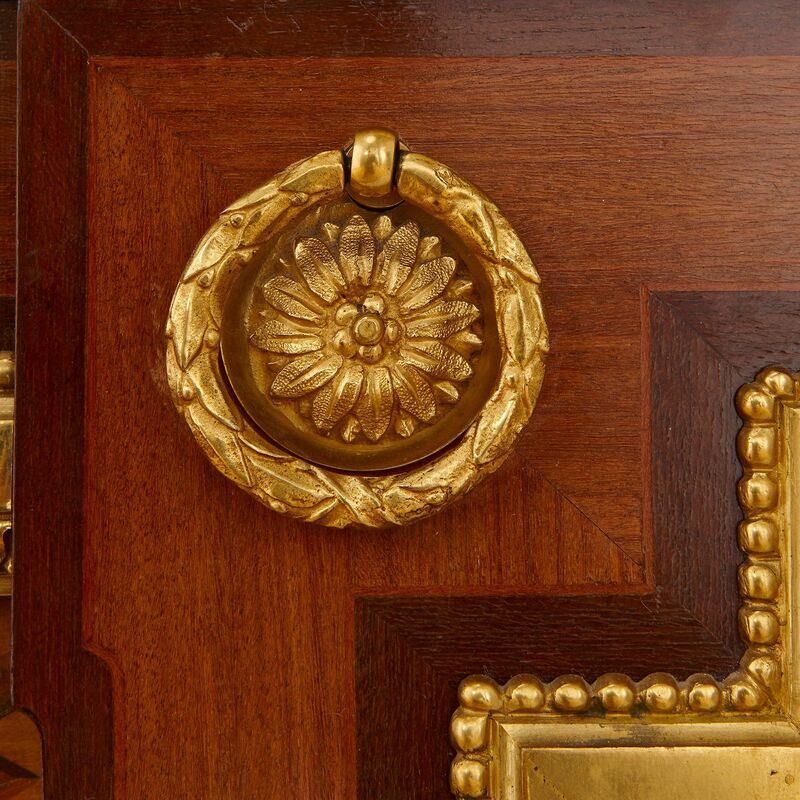 The marquetry and parquetry panels are each framed in borders of finely cast ormolu mounted onto the commode. 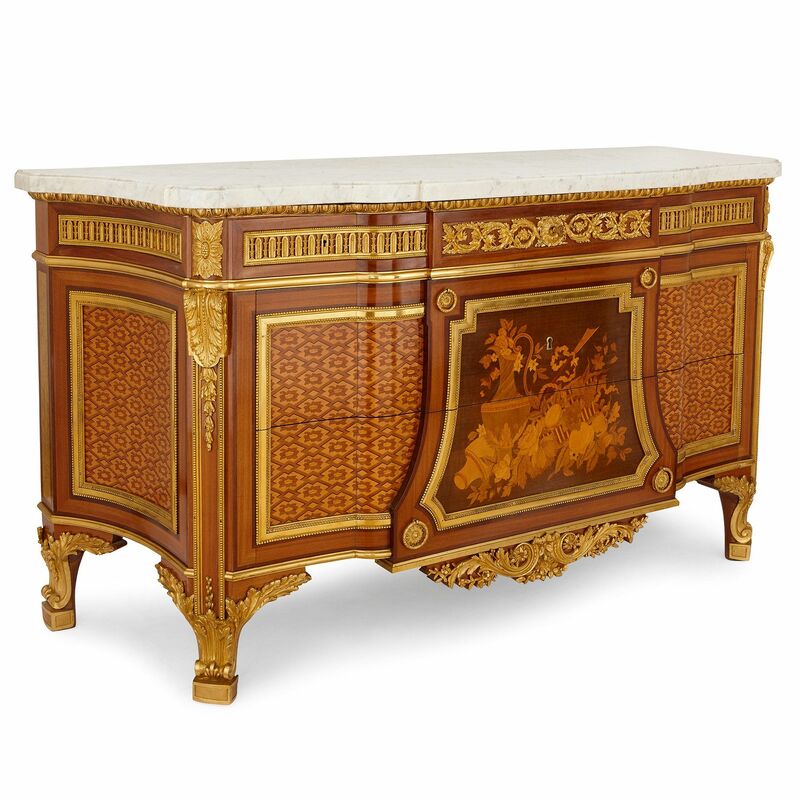 The commode sits on four ormolu mounted feet, and is stamped 'Mercier Fres / Paris' under the marble top. 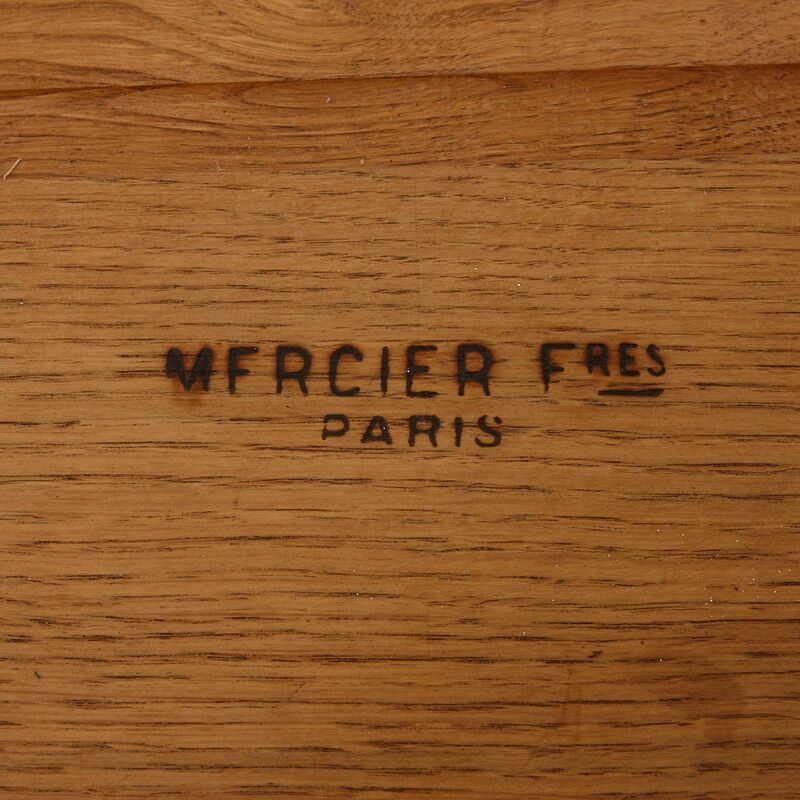 The commode, by the 19th Century furniture making firm Mercier Freres, was made after the model by 18th Century ebeniste Jean-Henri Riesener (French, 1734-1806), who made furniture for King Louis XVI and Marie Antoinette. 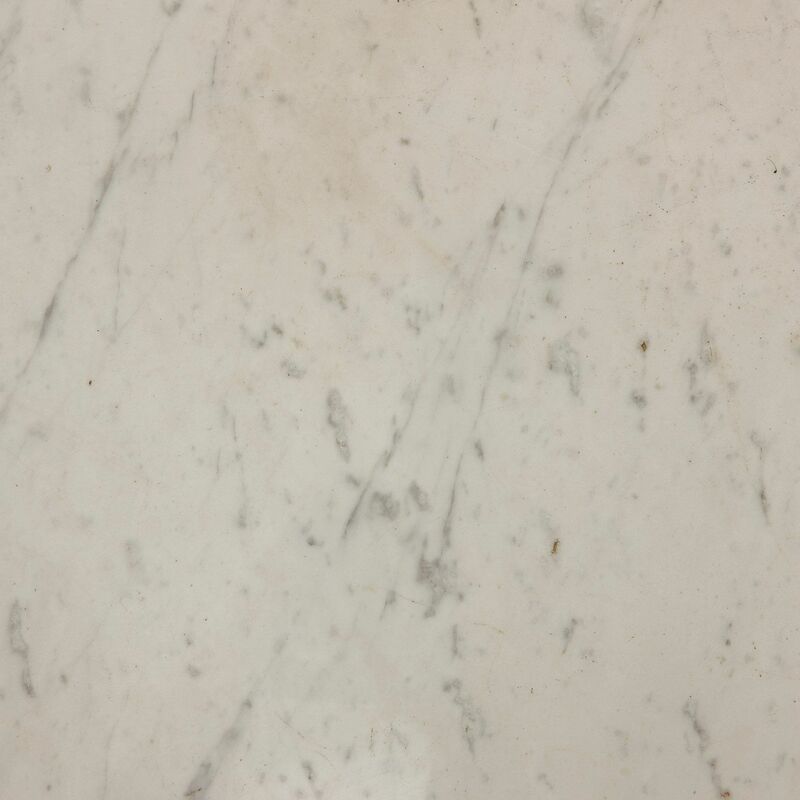 The original model was made for the Chateau de Fontainebleau, France, where it is currently housed.